Today we’d like to introduce you to Newton Lee. Newton, can you briefly walk us through your story – how you started and how you got to where you are today. A long time ago in a galaxy far, far away…. Oh wait, actually, I am a bigger fan of Star Trek than Star Wars, because I really dig the Vulcan IDIC (Infinite Diversity in Infinite Combinations) concept that beauty, growth, and progress all result from the union of the unlike. MIT Prof. Emeritus Marvin Minsky wrote in The Society of Mind that the power of intelligence stems from our vast diversity. As Star Trek encourages people “to explore strange new worlds, to seek out new life and new civilizations,” I took a leap of faith and left my homeland – Hong Kong – to come to the United States with a full scholarship to study Electrical Engineering at Vincennes University. Two years later, I transferred to the Computer Science program at Virginia Tech, supporting myself financially with teaching and research assistantship. Due to my own personal experience, I am a firm believer in the importance of education, research, and scholarships. That is why I created the 501(c)(3) nonprofit Institute For Education, Research & Scholarships (aka IFERS) in 2004 during my 10 years of full-time job at The Walt Disney Company as a senior staff software engineer, producer, and 4-time recipient of the Disney VoluntEAR Project Leadership Award. I have also been teaching part-time at Woodbury University since 2000. I always encourage my students to practice critical thinking and to realize their full potential. 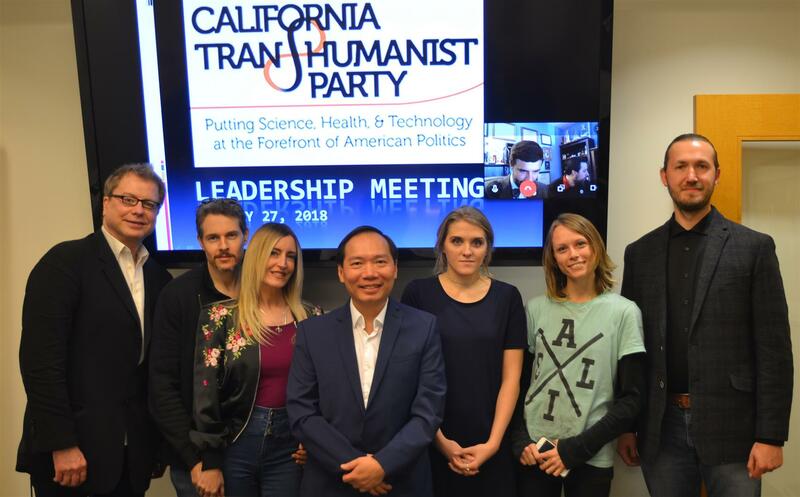 Besides teaching, writing books, and running my nonprofit organization, I am also the editor-in-chief of the Association for Computing Machinery (ACM) Computers in Entertainment magazine as well as the chairman of the California Transhumanist Party that puts science, health, and technology at the forefront of American politics. I got to where I am today by taking leaps of faith, working hard, collaborating with people, thinking outside the box, and being courageous to accept new challenges. The biggest challenge was to overcome my introversion. I did not transform into an extrovert, but I have learned to enjoy public speaking and meeting new people. 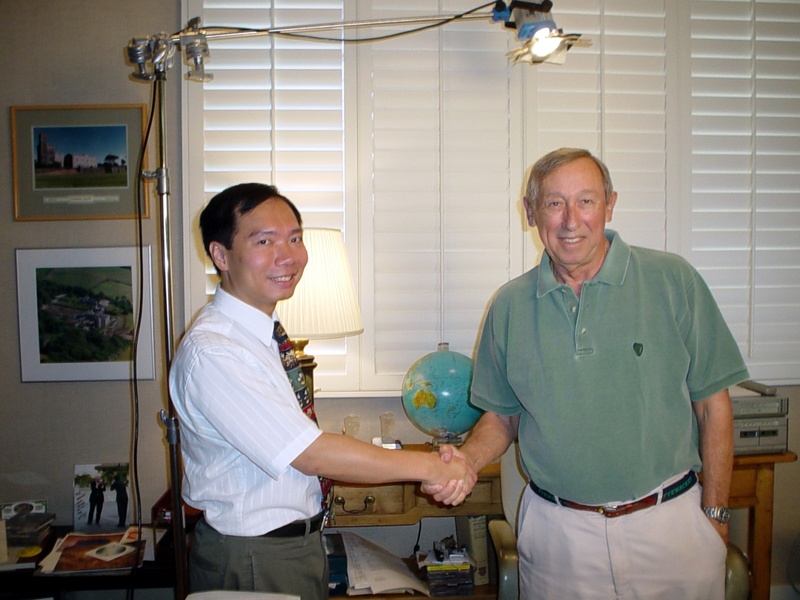 I was really nervous when I conducted a video interview with Roy E. Disney for the ACM Computers in Entertainment magazine. 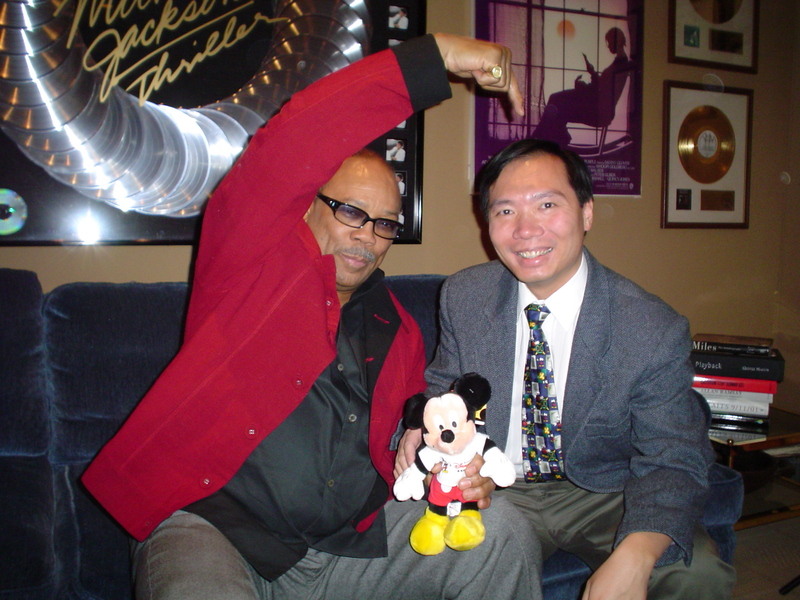 I am more used to it after having interviewed Quincy Jones, George Lucas, and many other great minds. Alright – so let’s talk business. Tell us about Institute for Education, Research, and Scholarships – what should we know? I am the founding president of the 501(c)(3) nonprofit Institute For Education, Research & Scholarships (IFERS) since 2004. We operate many impactful programs around the globe. In the area of education, we partner with the world’s largest academic publisher Springer Nature as well as our own imprint to promote interdisciplinary studies and critical thinking. Our published books are in more than 4,000 library holdings worldwide. Internship and studying abroad are perfect citizen diplomacy. Since 2006, we have assisted hundreds of interns and students from more than 70 countries around the world to intern and study in the United States. We also sponsor educational conferences, music production, computer magazine, menstrual health hub, veteran’s book club, and Type 1 diabetes education and research, among others. It brings us to the topic of research. We are proud to be the fiscal sponsor of EASE T1D (Education, Awareness, Support, Empowerment – Type 1 Diabetes) since 2015. We have provided vials of insulin to Type 1 Diabetes Helping Hands Foundation as well as funding to medical researchers including the Massachusetts General Hospital MGH Faustman Lab. On March 14, 2016, we were acknowledged by the California State Senate in our efforts to raise awareness of and to find cures for Type 1 diabetes affecting many children and adults. We also partner with Stanford University researchers and Foldscope Instruments to produce low-cost, origami-based print-and-fold optical microscope that is ideal for applications in global health, field based citizen science, and K12 science education. In cybersecurity research, we were among one of the 104 teams registered with the Defense Advanced Research Projects Agency (DARPA) for the first-ever Cyber Grand Challenge (CGC) in 2014. Only 28 teams made it through two DARPA-sponsored dry runs and into the CGC Qualifying Event. Our team was ranked #7 at the CGC Scored Event 2 in April 2015 and #13 at the CGC Qualifying Event in June 2015. Last but not least, our scholarship program reaches the needy globally — from an abused female filmmaking student at the American Film Institute (AFI) in Hollywood to an underprivileged medical student at the Ivano-Frankivsk National Medical University in the Ukraine. As of December 2017, we have offered half a million dollars in scholarships to poor students as well as to Wesleyan College’s Spectacles Math and Science Camp, Mercer University’s Youth Programs, and Museum of Aviation STEM Summer programs. The most influential mentor in my adult life is Dr. Daryle Riegle who not only taught engineering but also gave wing to my aspirations. The Billups family in Virginia always makes me feel at home away from home, exemplifying the best of humanity that inspires my work. All my team members and project leaders are essential to the success of the 501(c)(3) nonprofit Institute For Education, Research & Scholarships (IFERS). In particular, I want to give a shout-out to Debbie George and Michelle Thornburg for their work on Type 1 diabetes education, Jim Cybulski for low-cost microscope, Danielle Keiser for menstrual health hub, John Lee for veteran’s book club, Jeremy Wang for Loving Day San Jose, Nischal Bandi for raising scholarships for students in STEM, Monica Herrick and Chloe Estelle Carrier for helping students with autism, Rain Breaw Michaels for scholarship awards to female students in cinematography, and Marja Perren for inspiring children to have an openness to art and good deeds. Wow This write up is very impressive. But, then again you are very impressive. Thanks for the “shout out” about the Billups family. Such a great article, very impressive Mr. Lee! Thank you so much for including EASE T1D – Type 1 Diabetes Awareness. 2018 will be an exciting year for advocacy. We are currently working with Senator Jeff Stone on proposed legislation for Type 1 Diabetes curriculum to be taught in secondary schools through 7th and 9th grade Health and Science classes. If passed, California will be a model for other states to follow. If viewers would like to learn more on Type 1 Diabetes and the mission of EASE T1D, please visit our website at http://www.easet1d.org THANK YOU! Wow!! Its a nice article on Dr. Newton Lee. As he also Organizing Committee Member for 5th Computer Graphics & Animation 2018 which going to be held in Montreal, Canada. 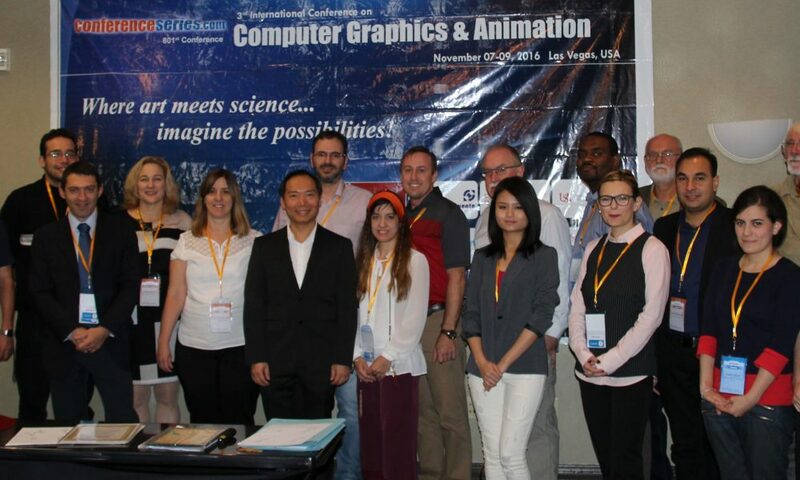 He was Conference Chair and Honorable Keynote Speaker for 3rd Computer Graphics & Animation held on Nov 7-9, 2016 in Las Vegas, USA. 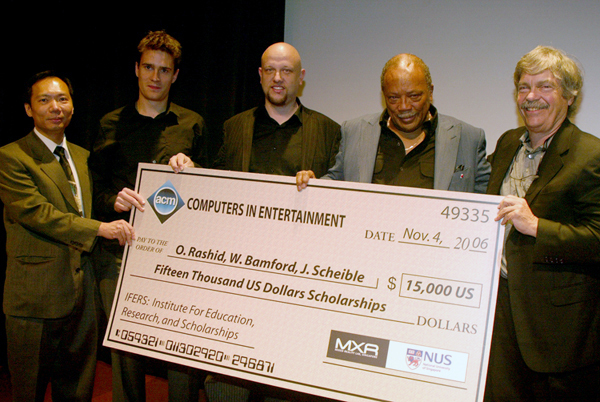 Thanks to Institute for Education, Research, and Scholarships, ACM – Computers in Entertainment (CiE), Springer- Encyclopedia of Computer Graphics and Games (ECGG) for supporting to young researchers and students. My big heartfelt thanks goes to Dr. Newton Lee and the Institute for Education Research and Scholarships (IFERS)! In 2012 I became a nurse in Ghana because of my passion for helping doctors save lives and alleviate pain and suffering of patients. Having witnessed many suffering patients in need and not enough doctors to help them, I decided to enter medical school in 2014 to become a doctor and a surgeon myself. I plan to graduate in 2019, and I thank IFERS for paying for my medical school. God bless! Newton, this is a very impressive article and your charity work is even more impressive. I am proud to have had the opportunity to work with you in Bell Labs back in the 1980s.Keep up the great work! I’m a great fan of you, Mr. Lee! You’ve been a great mentor and my inspiration for life! I was one of your successful interns back in 2015! I wish all the success of IFERS …. keep building up the best work!